A man who had been sought in connection with a fatal shooting inside a Nashville hookah bar was killed overnight. 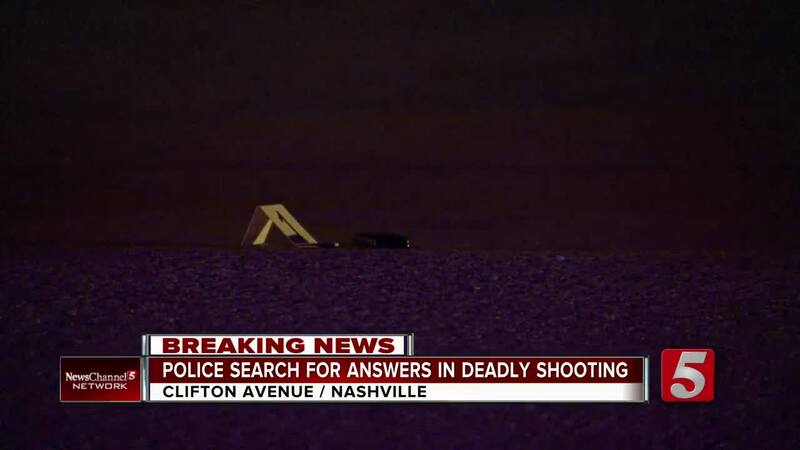 Officials with Metro Nashville police said 23-year-old Deion Woodruff was found unresponsive just before 10:30 p.m. Wednesday at the intersection of 32nd Avenue North and Clifton Avenue. According to police, it appears he was pushed out of a vehicle at the intersection. He was taken to Vanderbilt University Medical Center and pronounced dead. At the time of his death, he was wanted in the fatal shooting of 21-year-old Marqondis Thompson inside the Medusa hookah bar on Church Street. Woodruff was also wanted on charges of attempted murder and carjacking after an exchange of gunfire between people in two SUVs at the intersection of Bell Road and Eagle View Boulevard. From there, Woodruff allegedly carjacked a Chevrolet Malibu from a nearby convenience market. Anyone with information on his death was asked to contact Nashville Crime Stoppers at 615-742-7463.